Kensington Palace Gardens, or Ambassadors Avenue as it might as well be called, is a private, heavily guarded boulevard nestled behind the sedate royal dwelling from which it takes its name that is packed with official residences. Not an obvious venue for a series of presentations, organised by the Finnish Institute, about how to house some of the most marginalised and multiply excluded members of society, even if the Finnish building is typically modest. It is only the middle of March and the Unit has submitted responses to three consultations about gambling. Joint chairs Professor Jill Manthorpe, Director of HSCWRU, and Paul Goulden, CEO of Age UK London welcomed nearly 100 people to the 11th Annual Joint Conference. 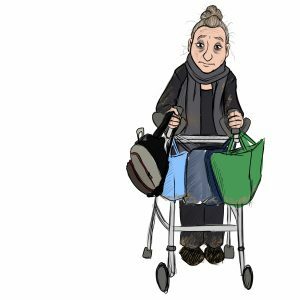 The packed room included social workers, health care workers, researchers, and a diverse cross-section of ageing activists, users of services and their family carers, drawn from London’s older population. 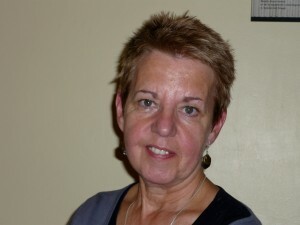 The theme for next week’s World Social Work Day is ‘promoting the importance of human relationships.’ In preparation for this we are launching our report into hospital social work, which was funded by the National Institute for Health Research Policy Research Programme at the request of the Chief Social Worker for Adults, Lyn Romeo. 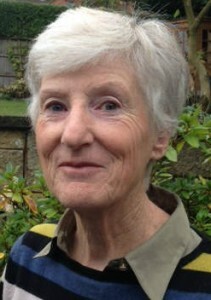 Lyn has also kindly written the report’s foreword. Earlier this year I visited Las Vegas with two of my friends. It was my first trip to Las Vegas and as a researcher who explores the impact of gambling for vulnerable people I was somewhat apprehensive about what I may see in Las Vegas. However, the trip provided a good opportunity to explore gambling in ‘Sin City’. I had the pleasure of attending the ‘Addressing Complexity: Homelessness and Addiction’ conference on Friday 18 January 2019 at the Guildhall in London. I arrived at this beautiful venue a little tired after my early start. My first train was at 06:24. However, a few cups of coffee soon warmed me up. It was an excellent event with a wide range of subjects and very good speakers. I was most impressed by the talk by Kevin Dooley (Recovery Programme Consultant) who at one time had been an armed robber, alcoholic and heroin addict with extensive experience of the ‘criminal justice system’! He spoke very truthfully and emotionally about his time on the streets and how when he was in prison his son had died, he received little in the way of compassion and understanding from the system. Some of the other people at the conference with lived experience commented how they were able to fully connect with what Kevin was saying especially with regard to the shame and stigma that goes hand in hand with homelessness and addiction. Kevin made the point that coming to events like these and talking about ‘our’ experiences takes that shame away. I am a firm believer in involving people with lived experience (“nothing about us without us”) and Kevin made the point that we were are still too few in numbers at events like these. The keynote address by Professor Alex Stevens also made this point, highlighting how, a structurally advantaged social group can dominate the cultural, intellectual landscape, while the people most affected by drug deaths have little say (or in the jargon “corporate agency”). I asked the expert panel in the morning session about this topic and there was consensus about the importance of involvement and engagement, and us all doing more to enable this. I found the talk by Dr Steve Sharman who presented case studies of people’s experiences of homelessness and gambling very interesting. It reminded me of my time in a Hostel in Wolverhampton. A few of the clients living there were addicted to gambling and just around the corner from the Hostel was a big Casino. This made me wonder if they were addicted to gambling before becoming homeless or took to gambling after becoming homeless. I found the street drinking in East London talk by Dr Allan Tyler interesting too and wondered about boundaries – would the researchers have learned more had they participated in the actual drinking? There was also a very good talk by our very own Dr Michelle Cornes ably assisted by Darren O’Shea and Jo Coombes. Michelle presented a case study called the Gutter Frame challenge which tells of the barriers people have to overcome if they want to access services following discharge to the street. Finally, I must also offer my compliments on the superb buffet provided at lunch time, and of course the chance for some networking too. 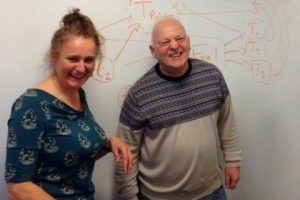 This is really important for us, and I was thrilled to be approached by a research manager from a leading charity who invited me to join a new advisory group being set up on peer research. All in all, a very worthwhile and enjoyable day. Last week I was invited to speak at the launch of ‘Help at Home – use of assistive technology got older people’ a review of current research evidence published by the National Institute for Health Research Dissemination Centre. 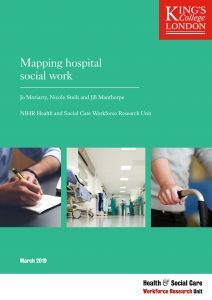 My presentation discussed some of the findings from research I’d done last year as part of the NIHR School for Social Care Research funded UTOPIA project, which gets a mention in the review. This review is timely and welcome. There has been considerable investment by local authorities in assistive technology and telecare at a time of unrelenting austerity. The research evidence to support this investment offers mixed messages, and local authority commissioners don’t have access to research findings, or even if they did, the time to read them. Worse, at least some of the information about telecare’s impact that is accessible is misleading. Local authorities are also under pressure: increasing demand for care and support, particularly from growing numbers of older people, and cuts to adult social care budgets that are unprecedented in their scale. Is assistive technology and telecare the solution? Local authorities are keen to use it to promote independence, keep people living safely in their own homes and to reduce burdens facing family carers, which will, of course, also save money. These are all worthy objectives, but as the review suggests, more likely to be achieved by local authorities that pay good attention to the infrastructure within which assistive technology is used, rather than just the devices themselves. The review makes the important point that much research in this field to-date appears to have focused on ‘high end digital technology’ rather than evaluating the impact of more basic technologies to help with everyday life; and more focus on the development of prototype technologies than real world testing. There are also some real challenges laid out for local authorities or other organisations that provide telecare services. For example, it reflects concerns by older people, highlighted in one international study that technology will be used as a substitute for hands on care. This is precisely what is happening in many local authorities in England at the present time. Another challenge from research is the suggestion that assessment and installation are seen as sequential one-off events (‘plug and play’) when getting the best out of it means seeing these as on-going processes, and that even simple technologies should be seen as a ‘complex intervention’. How does this compare with practices in hard pressed local authority adult social care departments at the present time? Anyone working in this field or who is using, or thinking of using, technology, should find this report contains valuable insights, even if some of them are challenging. Research reviews can be dry-as-dust, of interest only to the scholarly or the assiduous and with little of value to care professionals. This review is readable and relevant. It offers clear summaries of current research evidence and there are also clear messages about what needs to happen for telecare to make an effective, optimal contribution towards the care and support of older people. It deserves to be widely read and for key messages to be addressed in practice. John Woolham is Senior Research Fellow at the Social Care Workforce Research Unit, King’s College London. John’s presentation from the day. 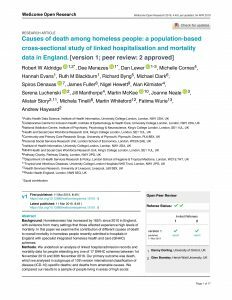 The author’s own work, cited here, is independent research funded by the National Institute for Health Research School for Social Care Research. The views expressed in this blog post are those of the author and not necessarily those of the NIHR/SSCR, NHS, the National Institute for Health Research or the Department of Health and Social Care.